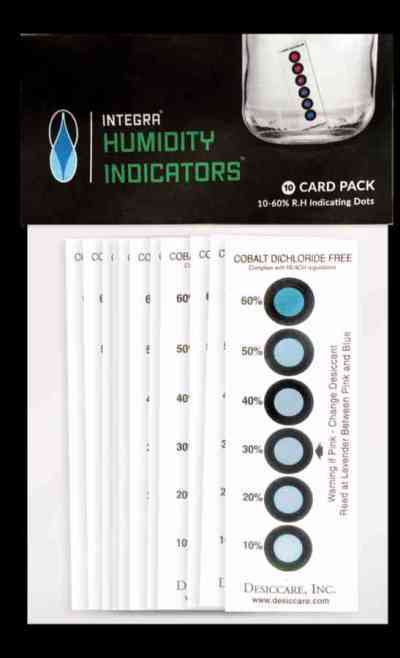 Humidity indicating strips for the use in drying cabinets. Checking the humidity level in your drying area. Measuring range from 10 to 60%.